The toughest thing to do will probably be to choose the cookie-cutter that you will use. I would recommend choosing simple shapes: stars or hearts for example. The icing is also a bit technical, but don’t worry, you’ll just need a bit of patience and imagination for the patterns. 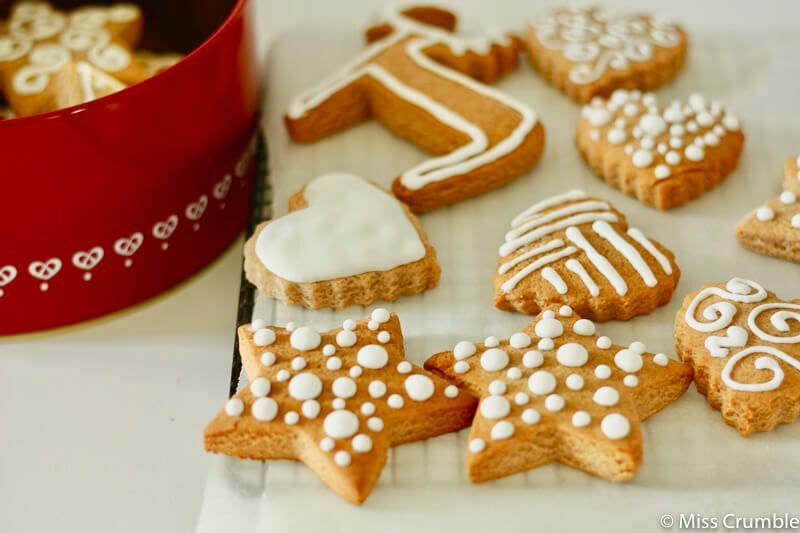 Once again, just choose something simple: dots or mini arabesques… Stay very close to the gingerbread with the piping bag, so that the icing will “stick” and that’s all there is to it! 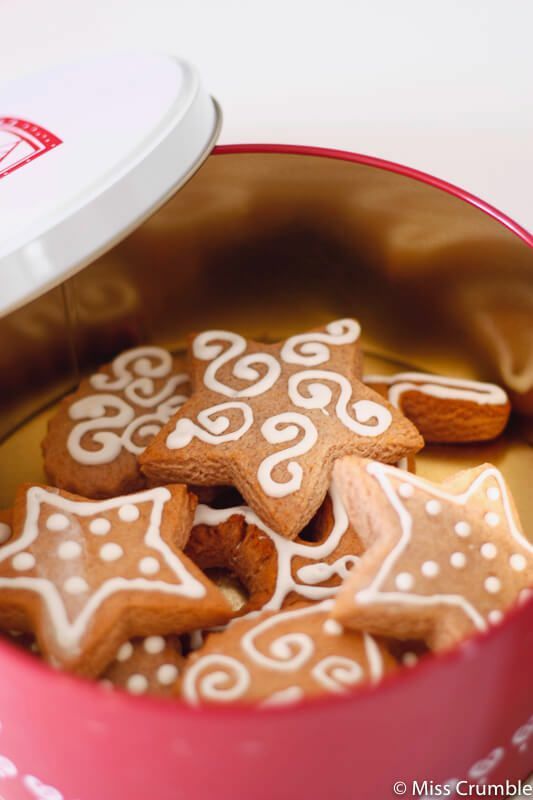 Tips and trick: to spread the gingerbread biscuits in a regular manner and with the right thickness, you can buy in an hardware shop, a wooden stick of 1cm on the side. Cut it out in two pieces of a 30-cm length. Place these two sticks on each side of the dough and use your rolling pin by leaning on the sticks. That’s how you will get an evenly-spread dough. 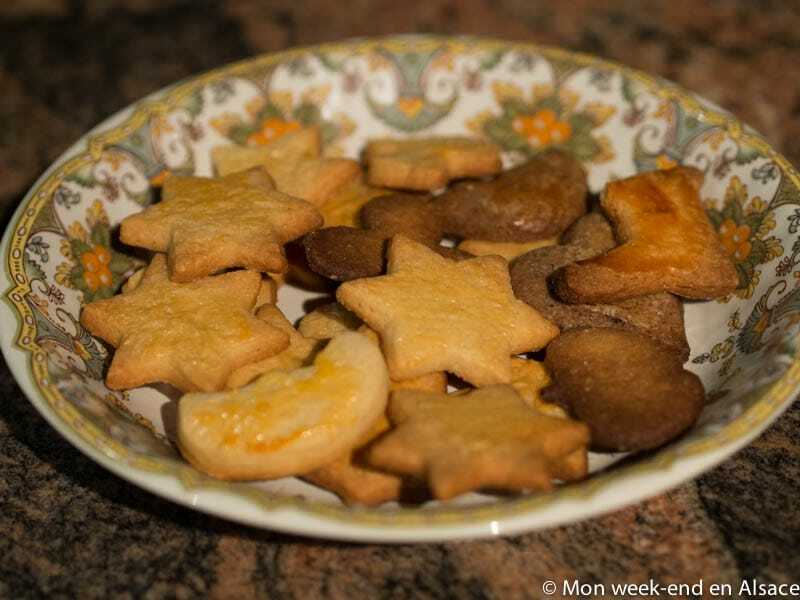 Gingerbread biscuits are even better 48h afterwards: they will have time to become a bit more « spongy ». They can be kept safely in a metal box for 1 month. In a small bowl, mix together all the spices (cinnamon, aniseed, clove, nutmeg). If you don’t have clove powder, use 2 whole cloves and put them in a mixer with the other spices. Pour the spices in the bowl of your food processor or in a large bowl. Add the flour, the baking powder and the sugar. Mix again. Add the honey. It has to be liquid: if it’s a bit hard, put it 30 seconds in the micro-wave. Mix the dough with your hands or with the food processor sheet. Add half of the water. Keep on kneading. The dough might seem a bit dry at first, but you’ll have to keep kneading without adding the remainder of the water. After a few minutes, add the remainder of the water, if necessary. The dough shouldn’t be sticky. If that’s the case, add a bit of flour. Shape a ball with the dough and wrap it in plastic film. Let it rest for at least 1 hour at room temperature. This resting time will also allow for the dough to develop all of its flavours. Preheat the oven at 180°C. Spread the dough with a rolling pin over a thickness of 1 cm (see the trick above), without forgetting to flour the work plan. Cut out the shapes with the cookie cutter. 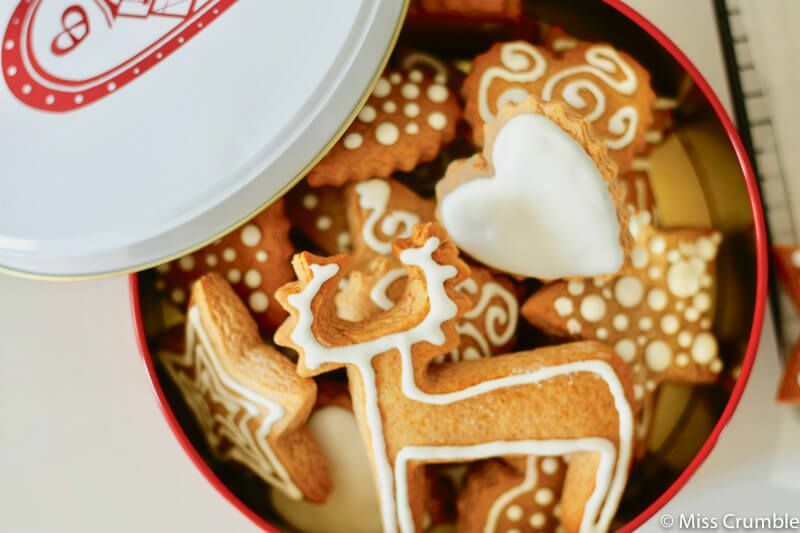 It might seem thick, but it’s how you’ll be able to keep the gingerbread biscuits soft; if they are too fine, they’ll become too dry after baking. 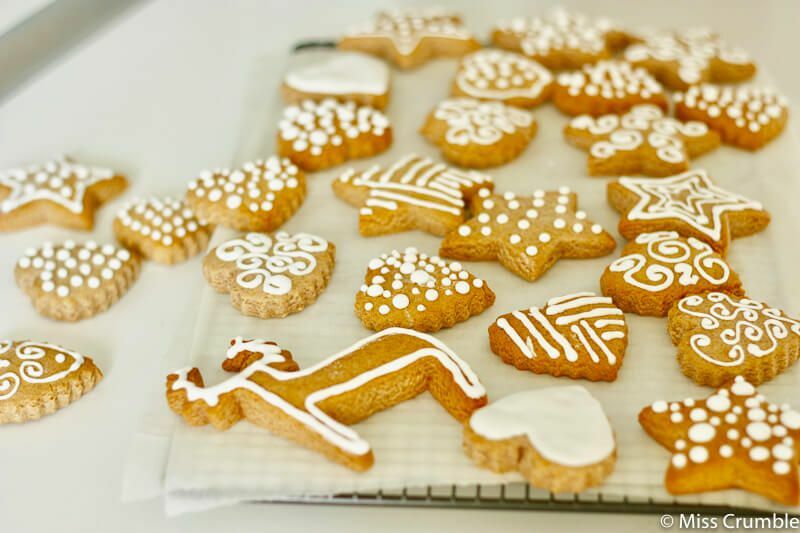 Arrange the gingerbread biscuits on a tray covered with greaseproof paper, spacing them out properly, as they will inflate a little bit with baking. Put in the oven for about 15 minutes. 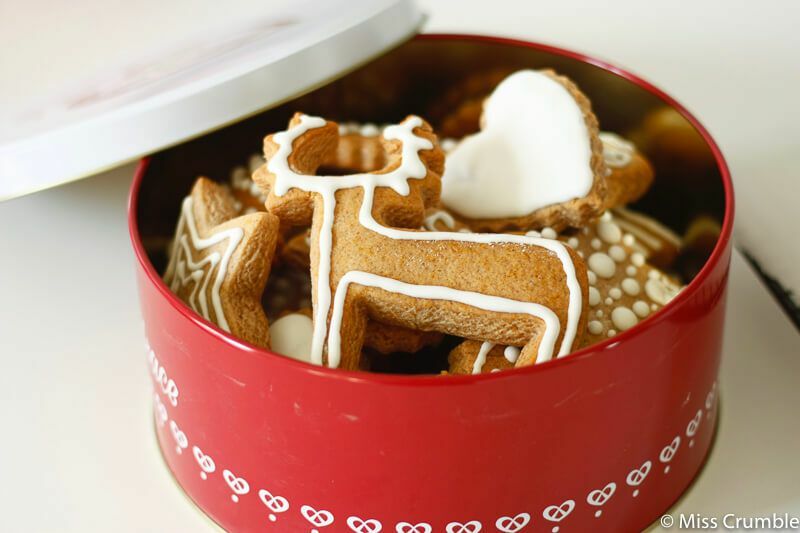 For the first batch, check the baking in order to find the ideal time, as gingerbread biscuits should barely get tinged. Don’t bake them for too long, or they will become hard once they cool down! Let the biscuits cool on a shelf. Prepare the icing by mixing icing sugar and the egg white. Whisk the mixture with an electric whisk, until you get a smooth, shiny and very white cream. 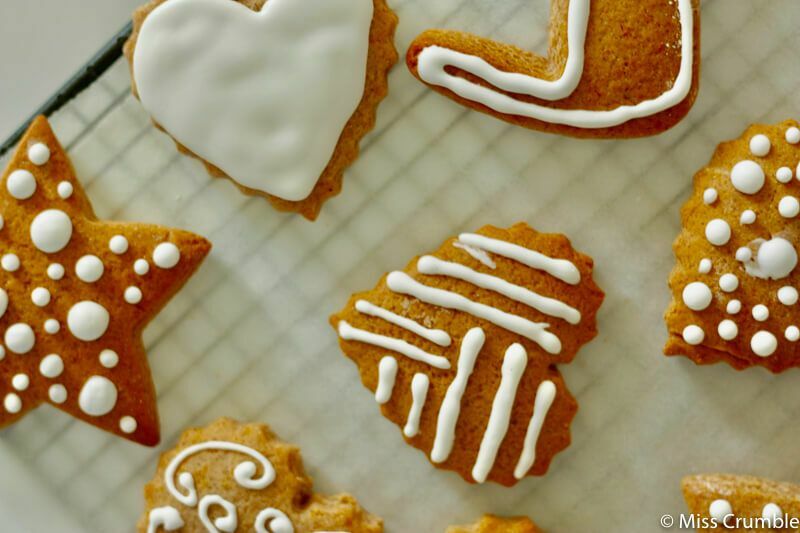 Decorate the biscuits with the help of a piping bag. 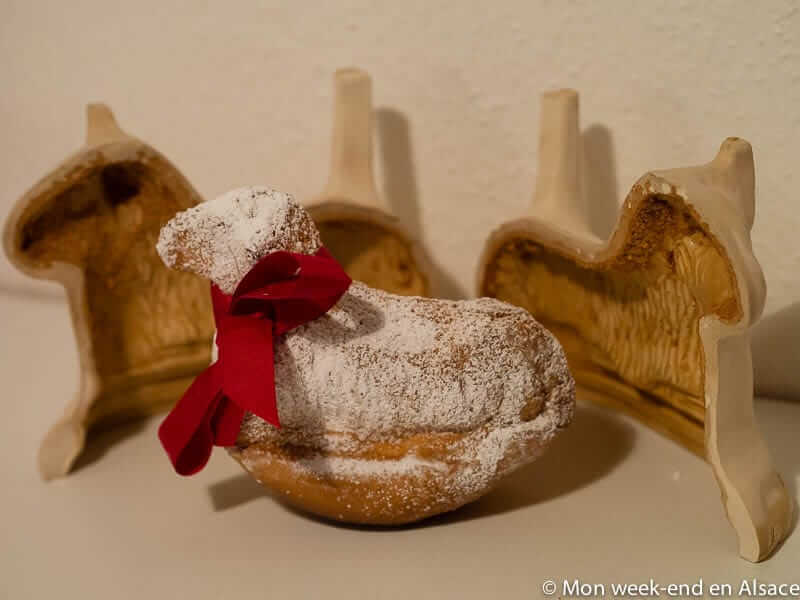 Fed with Bretzels in her early childhood, Marine loves her region but she also loves to travel. She also loves cooking and it is a good way to discover new regions and countries. She started a blog in 2010 working in the evening and during the weekends.Her blog is called Miss Crumble. It is like a digital cookbook of salty or sugary recipes. 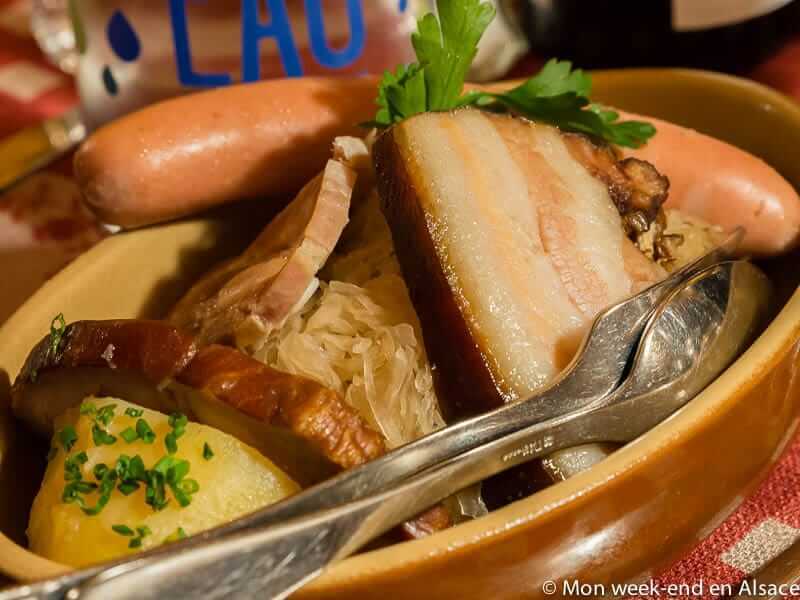 She shares with her readers traditional Alsatian recipes and recipes from other regions and countries. Cooking can be such a joy!